I have a number of friends who have converted to Judaism. They have done so for a number of reasons, including but not limited to their plans to marry somebody who is Jewish. One friend has become Jewish because she simply likes the religion. Another is thinking about an Orthodox conversion, out of a desire to follow in the footsteps of a Jewish father. I also have friends who started off Jewish and ended up Christians. One even became a monk, for a while. Of course, I have many more friends who have drifted in and out of Judaism, Islam and Christianity, have travelled from low church to high church, and from one sect of their religion to another. People change their minds during the course of their lives: in religious matters as much as with regard to any other set of philosophical beliefs. That they are able to do, without fear, so is the hallmark of a genuinely free society. This is particularly true for Jews and Judaism: a religion which at one stage adopted a near-prohibition on conversion, no doubt in part out of fear of violent reaction from the religious, social and political order which surrounded them. So, yes: I do understand why Jews in particular react badly to attempts to convert them to other religions. Christianity, for much of its history, both focused on the perfidy of Jews and sought the conversion of Jews as a particular prize. However the Jews I know who became Christians were not flirty fished away from their ancestral religion by Jews for Jesus. They changed their religion because, basically, they thought that the message of Christianity was correct. That is their right. In fact, the only person who I have heard of who actually joined J4J – whose techniques are crass rather than sneaky or subtle – pretty obviously did so as an act of passive aggression against her overbearing father. Some Jews join Chabad for similar reasons, just as some young Muslims shift from Sufism to Salafism, to shock their ma and pa.
We are free when Jews no longer fear the consequences of accepting proselytes. And, in Israel and most of the West, Jews are now – for the first time in 2000 years – at liberty to accept converts. Indeed, some Orthodox rabbis are starting to call for the rules on conversion to be relaxed, as well they should be. I wrote last week about the “anti-missionary” group, Yad L’Achim. I have no objection to “anti-missionary” activity. Indeed, if a religious group is about to lose an adherent, it really ought to make some effort to persuade them not to leave. “Persuasion”, however, is the wrong word to use in relation to the conduct of Yad L’Achim. What is worse – as Haaretz noted in a particularly strongly expressed editorial – Yad L’Achim appear to have managed to get themselves co-opted by the state. Haaretz’ concerns were not misplaced. 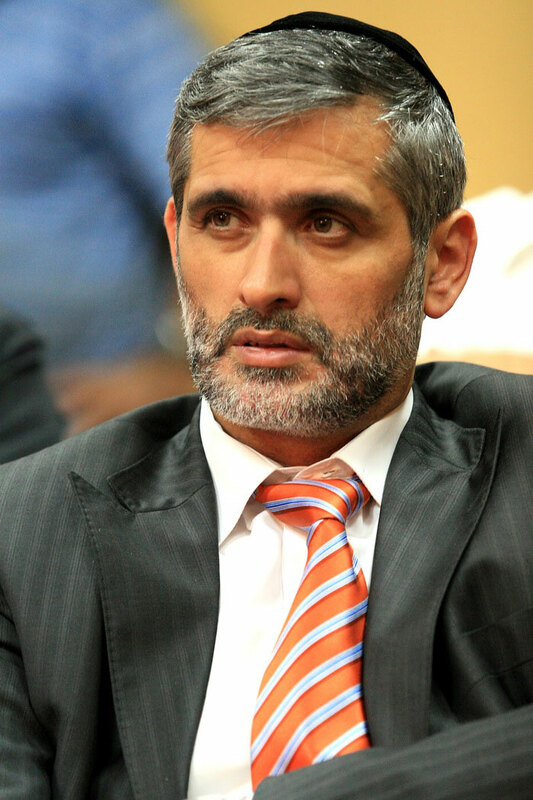 The government must call its employees to order immediately, to explain to Interior Minister Eli Yishai that he is not responsible for maintaining the purity of the Jewish race according to the formula of ultra-Orthodox zealots, and that any collaboration with Yad L’Achim is, in effect, a grave instance of persecution. Ironically – coming from a man who is a first rate bigot – in defending the corrupt, convicted Shas politician Shlomo Benziri, Yishai claimed that the Moroccan-born Benziri was being persecuted, um, because of ethnicity! He also thinks that gays are “sick“. As a Moroccan-born Sephardi, Shlomo Benziri is a Jew from an Arab country, and Yishai will defend him against racial discrimination in Israel. It goes without saying, of course, that Yad L’Achim – which he supports – are anti-Arab racists. Yad L’Achim activists also take the law into their own hands, by illegally “rescuing” (or “kidnapping” if you prefer) Jewish children of mixed Jewish-Arab marriages. They also forcefully break up Arab-Jewish couples. The circumstances of Miriashvili’s death, and the fact that he had served time in prison for attempting to forcefully break up a Jewish-Arab couple, led to speculation that the dead man had been the victim of a revenge slaying. Police, however, said that an autopsy revealed no foul play. So. Yad L’Achim are, ideologically, an extremist group. S0me of their activists, unsurprisingly, engage in conduct that is illegal in Israel. Their vicious nature was (noted by the US State Department in 2008 – and of course their response was to threaten legal proceedings. “Previously, I only knew of Yad L’Achim’s intensive Pidyon Shvuyim activities through the regular reports I received from Harav Lipschitz, the head of this important organization. Yad L’Achim activists recently coaxed information out of an 11-year old “Messianic” school girl about her father’s congregation. Two weeks later, the pastor’s car was firebombed. Yad L’Achim openly boast of spying on Messianic Jews, and trying to get them fired from their jobs. Still not convinced? Have a look at Yad L’Achim’s website. All this activity might be exciting to Chabad – itself a post-Jewish Messianic religion – who think Yad L’Achim are saving Jews from “Arab and missionary threats”. It is, however, deeply worrying for all those who care about upholding the rule of law and liberal democracy in Israel. Yad L’Achim have an openly anti-secular agenda, and Israel is a secular country. Why is Eli Yishai’s ministry giving them cover? Israel should have Yad L’Achim outlawed rather than outsourced. Yes, I appreciate that in Israel’s multi-party democracy, the religious parties get a chance to exercise a little power in isolated areas. Let that be in relation to matters which are within their domain. Kashrut. Preserving religious relics. The affairs of orthodox Jews. Almost anything, apart from matters of citizenship, or inter-denominational dating. It is only fair that Eli Yishai should make a choice. He should either serve the interests of Israeli citizens and uphold Israeli law and the secular state which protects all Israelis – Jewish, non-Jewish, religious or not – or he should announce that his interests do not line up with the interests of his government, declare himself unfit for his job as Interior Minister, and take up a role in Yad L’Achim. Then at least we all know where he stands. Israelis do not live in 1984, and Eli Yishai does not run the Ministry of Love.